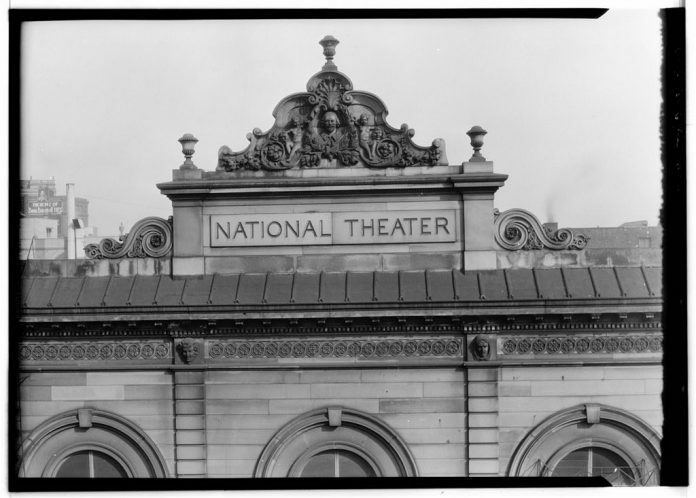 Cincinnati’s National Theater catered to the town’s prostitutes for most of its heyday. 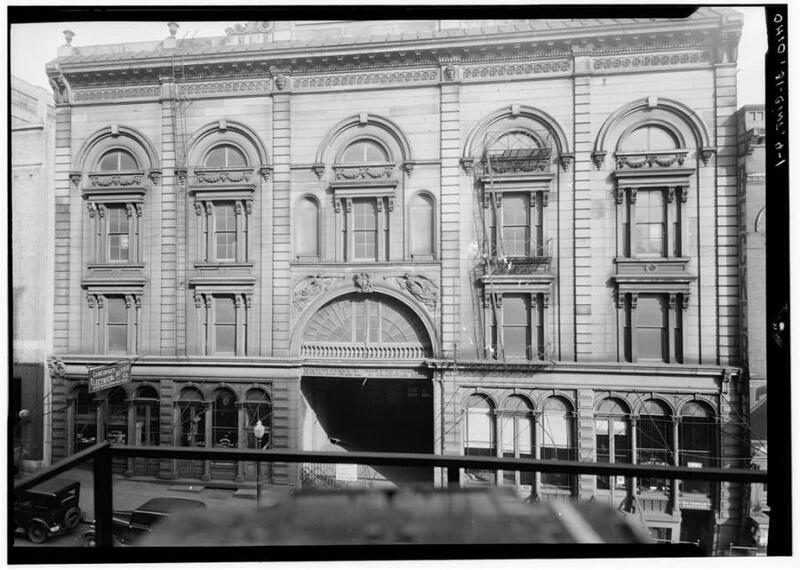 The building was demolished in 1940. At Cincinnati’s National Theater, the upstairs action was much hotter, even in the 1840s. The “third tier” or gallery was reserved for “Femmes du Pave.” In other words, prostitutes. The National Theater was located on the east side of Sycamore just north of Third Street, where the Great American Tower now rises into the sky. The National was not unique in setting aside a balcony for ladies of the evening. According to Claudia Johnson, writing in the American Quarterly [December 1975], most American theaters had reserved the “third tier” for prostitution since the mid-1700s. The Cincinnati Enquirer [7 November 1845] described an effective ruse employed by the “Cyprians” of the National Theater’s third tier to invade the lower levels of the theater. Having gained entrance to the respectable parquet or dress circle, these faux widows made their assignations and took their clients off to a nearby hotel or brothel, while the children—no longer needed—were sent home. Parents who rented their children for this purpose, according to the Enquirer, received as much as five dollars a day—handsome wages at that time—and new clothes for their children. The prostitutes, it was reported, were excellent baby-sitters and treated the children well. The National Theater survived more than a century. 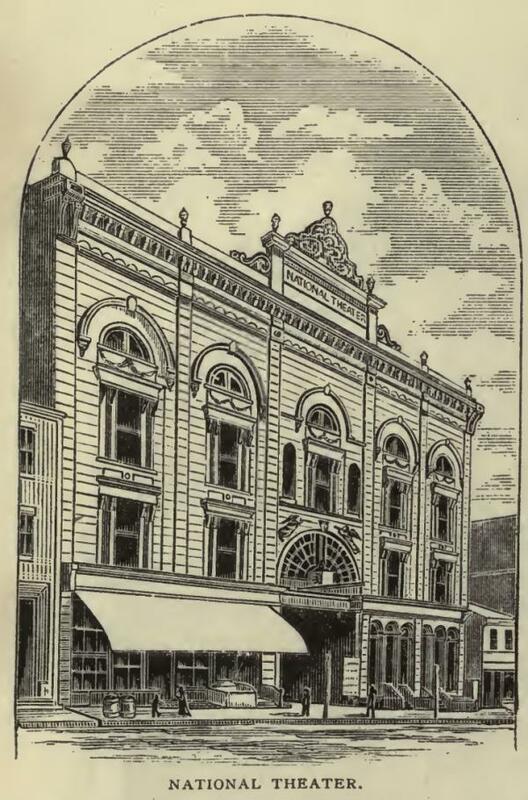 First opened in 1837, it was Cincinnati’s top theater for many years and witnessed performances by Jenny Lind, Lola Montez, and the entire Booth family (Edwin, John Wilkes and Junius) until it fell out of favor in the 1880s and resorted to burlesque, circuses, and other lowbrow amusements. By the 1920s, the big old auditorium was rented out as a tobacco warehouse. The National Theater was demolished in 1940. Next articleThe 2016 Reds Look A Lot Like the 2009 Reds. And That’s a Good Thing.